Allow Opus One, one of Detroit’s finest restaurants, to create a special winemaker dinner in the location of your choice. 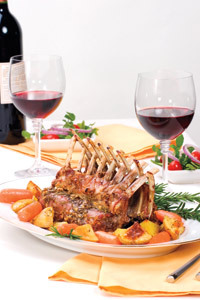 Start with hors d’oeuvres, followed by a five-course dinner, all accompanied by a magnificent selection of boutique wines. Delight in a rare Jarvis Cabernet or a $500 vintage bottle of Opus One wine. Opus One’s line features bottles from 1980, 1982, 1984, 1987, and more. Choose your menu and let Opus One pick out the wine to complement, or the other way around. $215 a head; sommelier optional. Contact Bonnie J. Peck at Opus to Go; 313-961-5400. Sometimes it’s the little things that make the biggest impression. Jean Schlumberger olive cuff links from Tiffany & Co. are a sharp addition to a classy outfit. 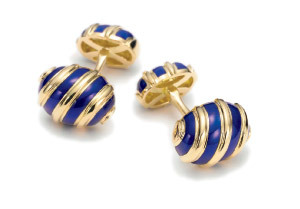 The bright-blue enamel olives are engulfed in swirls of 18k yellow gold. Crafted with Schlumberger’s famous attention to detail. Available to order. $2,600, Tiffany & Co., Somerset Collection, Troy; 248-637-2800. Step back in time with a stately grandfather clock. Nothing adds class and sophistication to an office or home like a floor clock by Howard Miller. The curvaceous Arendal model is made of Tuscany cherry and features Roman numerals, black serpentine hands, and a separate track for counting seconds. The chime includes a nighttime shutoff option. Comes with a free heirloom plate engraved with a name and date, making it a timeless gift. $1,999; Art Van Furniture, 248-549-2900. This elegant President Classeur briefcase by Louis Vuitton demands attention with its sharp edges and monogram leather. It’s decked with a removable ID holder, shiny golden brass pieces, and an S-lock with key, plus two trunk locks to keep your professional world safe. Grab hold of its luxurious rounded leather handle and go with confidence. Available by request, $4,160, Louis Vuitton, Somerset Collection, Troy; 248-643-8930. 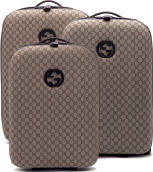 Go Gucci and take everything along in a stylish ebony-and-beige Gucci trolley, $1,995; Gucci, Somerset Collection; 248-643-7630. What do you give an art lover who has it all? 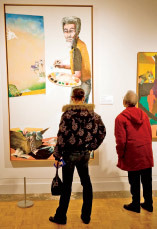 How about a gallery at the Detroit Institute of Arts dedicated by name? The recently renovated DIA is a cultural highlight of Detroit, bringing in the world’s most famous art since its opening in 1885. You’ll do more than dedicate art in someone’s name; you’ll make it last forever. This unique opportunity is available with donations starting at $250,000; 313-833-7900. Still can’t decide? A Somerset gift card is the perfect present. Available at 248-643-6360, ext. 243, or TheSomersetCollection.com ($5 to $500). Kick things up a notch behind the wheel of a 600-horsepower NASCAR style racecar. The Richard Petty Driving Experience offers lessons for thrill seekers at the Michigan International Speedway one weekend a month, May through October. Drivers follow an instructor’s tire tracks through eight hair-raising laps around the track, reaching speeds of up to 145 mph. 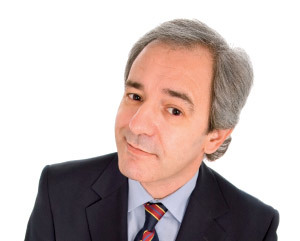 Lessons fill up fast, so book early; $399 to $449; 1-800-BE-PETTY. Imagine having 20/20 vision without the need for glasses or contacts. Dr. Daniel Haddad, board-certified ophthalmologist, has been performing LASIK eye surgery for 10 years and was the first doctor in Michigan to use Custom Wavefront LASIK, which creates a unique “fingerprint” of your eye for the best possible vision-correction results. There are different types of LASIK available for various vision problems. Call for prices. The Laser Eye Institute, Troy; 248-680-7400. If someone you know would appreciate a brighter smile, send them to expert cosmetic dentist Alan Grodin in Clawson. The Zoom bleach system is an in-office bleaching peroxide applied directly to the teeth in three to four 15-minute sessions. Patients are in and out of the office in about two hours, and leave with fitted trays and take-home bleach to continue whitening in private quarters. A big confidence booster. $500; 248-288-1110. Interested in Botox? According to Dr. Steven Morris’s office, the bridge of the nose and the area between the eyebrows is a common Botox zone for men. There’s a reason the wrinkle-diminishing nonsurgical procedure is so talked about. It softens the muscles that cause creases, and it’s fast, effective, and virtually painless. The injections take only seconds. However, you do need sessions every few months to maintain results. A typical bridge-of-the-nose session costs about $300 at the offices of Dr. Steven Morris in Birmingham. 248-593-5533. Cosmetic surgery is an increasingly popular way to transport your body back to its youth and boost your self-confidence. Eyelid surgery and liposuction are popular options among men — think droopy eyes, love handles, and bulging bellies. Eyelid surgery costs between $4,000 and $6,000. Patients with a non-physically demanding job are generally back to work in a week. For more information, call Dr. Richard Hainer at North Oakland Plastic Surgery in Rochester Hills, 248-601-4240.